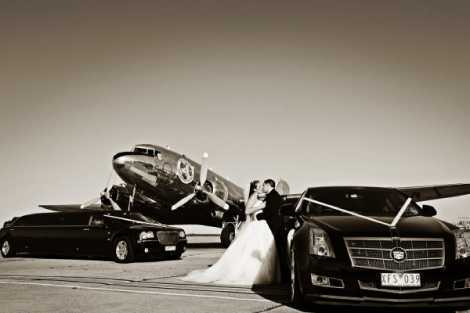 Wedding limousine hire is one of the many important decisions you need to make on your wedding day. 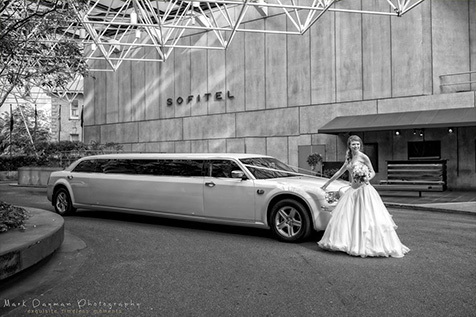 Our Chrysler stretch limo option is one of them, to make your wedding day memorably and fun! 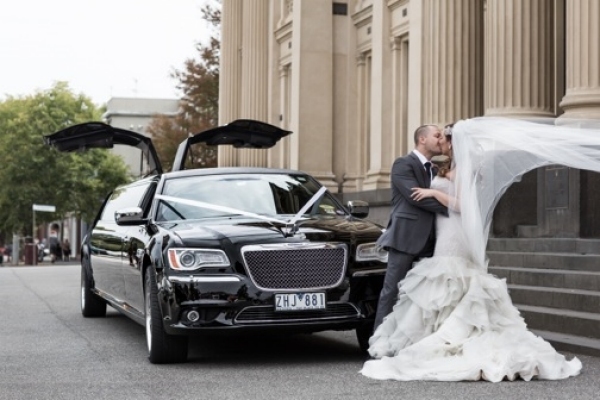 Our Chrysler limousines are immaculately maintained and set the mood for a wonderful day. 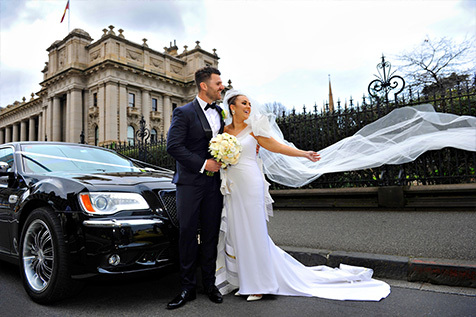 With the bridal party all travelling together, our stretch limousine will instantly create a great atmosphere and eliminate the hassle, cost and worry or hiring 3 separate cars. 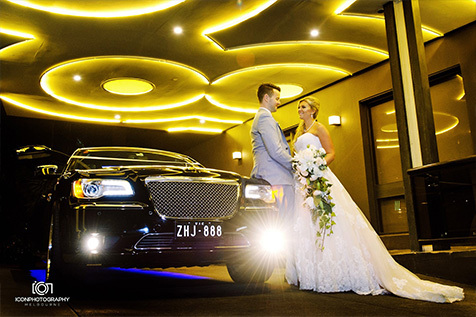 The Chrysler limousine also have a spectacular interior with neon lights, 3 flat screen TV’s, DVD player, stereo CD, elegant bar and much more to keep you entertained throughout the day. 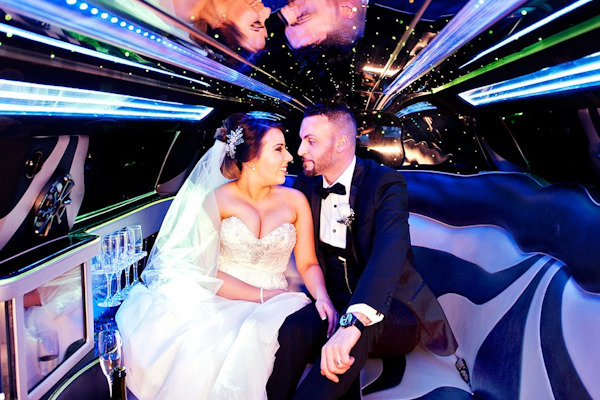 All our stretch limousines come standard with a professional licensed chauffeur, ribbon, interior tulle, red carpet, umbrellas, water soft drink and a bottle of sparkling wine to help celebrate your wedding day! Are the car operators members of any clubs or associations? Your research should include: Do they have a professional looking website, (it doesn’t have to be expensive). Are there any internet reviews? Have they been referred by a friend, photographer or wedding reception venue? Always ask if there are any additional fees if you exceed your booking time hire? 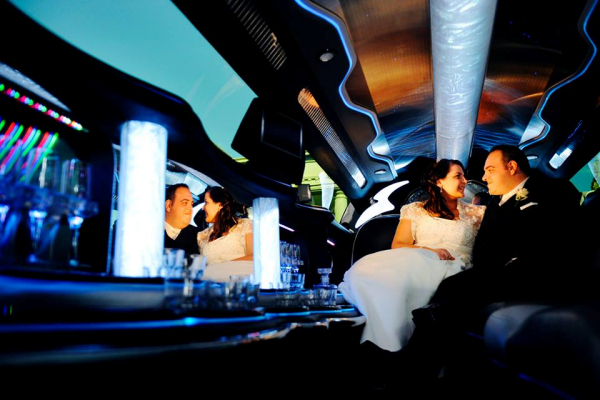 Deposits – a deposit is normally required to confirm your limousine hire. How much and are they refundable are commonly asked questions. Also, when is the final payment required and what forms of payment are accepted is another great question. Price – whilst all aspects of your wedding need to be budgeted for, please do not shop around JUST ON PRICE. Price will be a consideration, but should not be the sole consideration. If it sounds too good to be true, it probably is. Trust your ‘gut feel’ – it is normally the right one. Try to remember to have fun! This is a great period in your life, enjoy the lead up, all the planning that goes into it, and on the day, trust those of us you have surrounded yourself with to show you a great day!